Sahrye Cohen is the founder and chief designer of the San Francisco-based tech couture design group, Amped Atelier. Amped Atelier designs have been featured on the runways of San Francisco, California, and Calgary, Canada, and for Fashion Week in Xiamin, China. 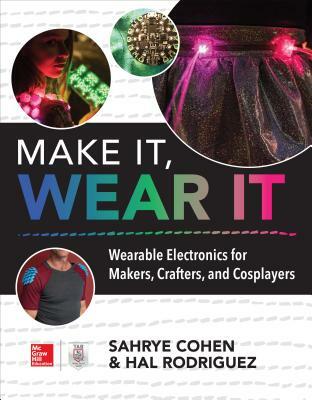 Sahrye teaches workshops on wearable electronics for costumers and cosplayers and has published articles on 3D printing in Make Magazine, and on cosplay techniques in The Virtual Costumer.Hal Rodriguez is a maker and programmer and the chief technologist with the San Francisco-based tech couture design group, Amped Atelier. He has over 20 years programming experience and has published articles on 3D printing in Make Magazine.